What Is a Soft Ankle Cast? A soft cast is a different kind of cast than the traditional plaster cast. Soft casts are made from fiberglass and offer more flexibility than traditional casts. Soft casts are often used for ankle injuries because the theory of "walking it off" is beneficial for most ankle injuries. The ability to use the ankle during the healing process can speed healing and return your ankle to 100 percent performance soon after the cast is removed. A soft cast is a type of cast made from semi-flexible fiberglass rather than from the traditional plaster material. The fiberglass cast looks similar to a plaster cast, but it is not as hard. This allows the wearer to move slightly and continue to use the muscles around the ankle in a small amount. The fiberglass cast has a cotton interior just like a plaster cast to keep the ankle comfortable while it is in the cast. Because a soft cast is not movement-free, it cannot be used with bones that must sit absolutely still to heal. Clean breaks and jutting bones cannot usually be fixed with a soft cast. However, hairlines fractures, torn ligaments and torn muscles benefit from the use of a soft cast. With these injuries, some movement is not only safe, it is actually encouraged in some situations. Soft casts are also used with animals frequently for broken leg bones. There are many benefits to using a soft cast for ankle injuries. The main benefit is that the ankle can be moved somewhat. This allows the muscles around the ankle to engage, preventing muscle atrophy while the cast is on the body. The flexibility of the cast also prevents the joint stiffness that accompanies a hard cast in so many instances. The flexible nature of the cast also will prevent pressure sores from appearing on the ankle due to the uncomfortable pressure of a plaster cast. There are some disadvantages. The main drawback is that it cannot be used for every ankle injury. It also is tied to all of the care procedures that a plaster cast is tied to. A fiberglass cast cannot be washed. 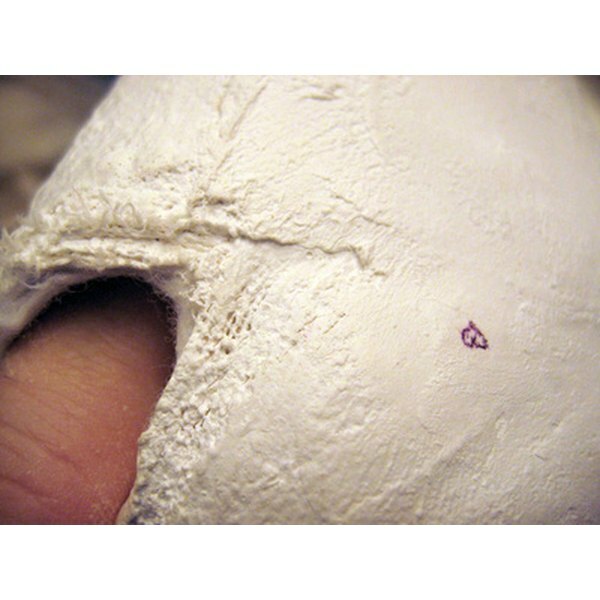 A soft cast is also susceptible to breaking if too much pressure is applied to the cast. Your ankle may swell once the cast is placed over the ankle. The soft cast is easy to apply and goes on quickly. First, the ankle problem is addressed and corrected. Then the ankle is coated with micro foam or cast padding. The cast material is soaked in water to soften it. The doctor then wraps the cast around the padded area. Once the cast is applied, an exterior layer is sometimes used to create extra protection.